If you think whitetails can only be found in North America then you should take a look across the big pond. In Finland, a whitetail population that was planted in the early 1930’s is now growing to pretty substantial numbers. Very few animals survived the initial trip but the population has grown and currently stands at about 25,000 whitetails. While this may not seem like a lot to us here in the states, it’s quite a bit compared to what it started at when it was a gift from Minnesota to the country. The antler size is not as large as the deer here but it does offer an interesting challenge for people who are looking for an adventure. During the first season that whitetails were permitted to be taken in Finland, only 400 animals were harvested, but recently the population has been booming. Finland is the only country in Europe that has white-tailed deer and guided hunts are available for those who are interested in this unique opportunity. 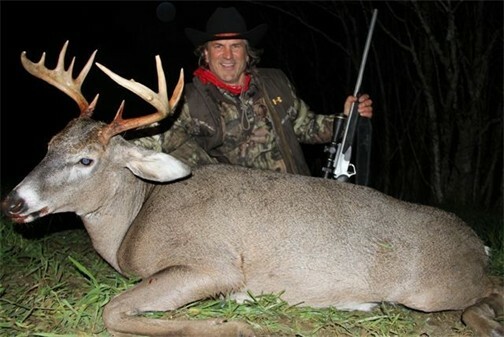 Recently, hunters such as Jim Shockey, have found good success and have harvested some pretty decent animals. The chance at hunting whitetails in a European country is something that I find very interesting and can present a unique challenge and opportunity not found in the United States. You’ll have to use a firearm though, since bows are not allowed in Finland to hunt deer. It will be interesting to see how the population continues to grow over the next couple of years. As of right now the antler size is quite small compared to whitetails here but that could change with time and finding the right nutrients for the deer there. If you’ve been thinking about taking that European vacation, try doing it in Finland and double up on a white-tailed deer hunt at the same time! Where would you take your dream hunt at? Let us know!